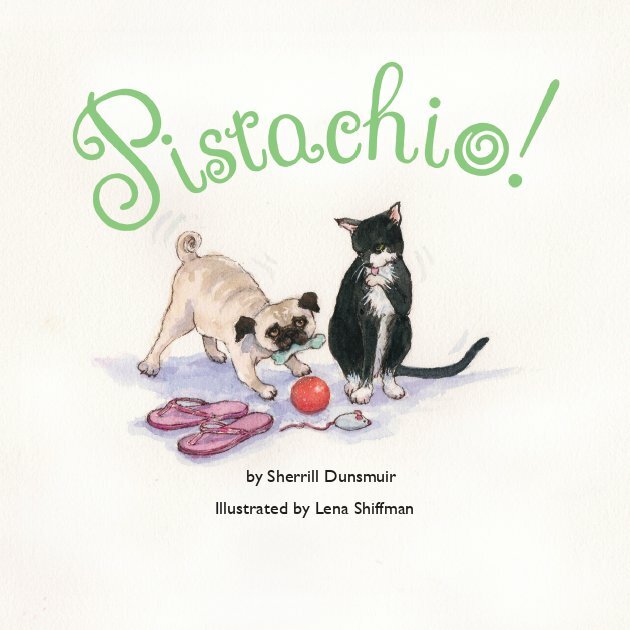 "Pistachio!" 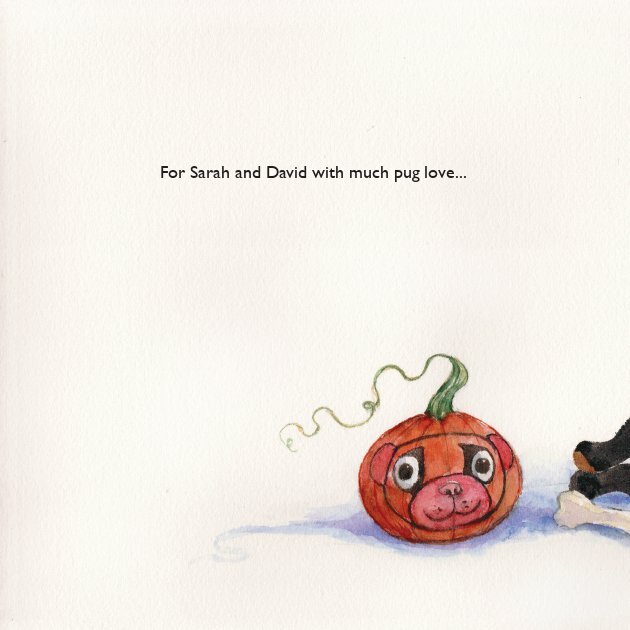 is the story of a much loved Pug. 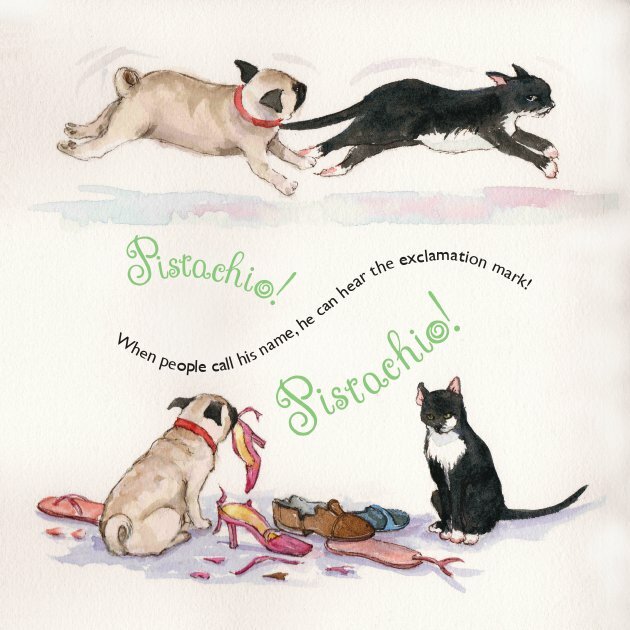 "Pistachio!" 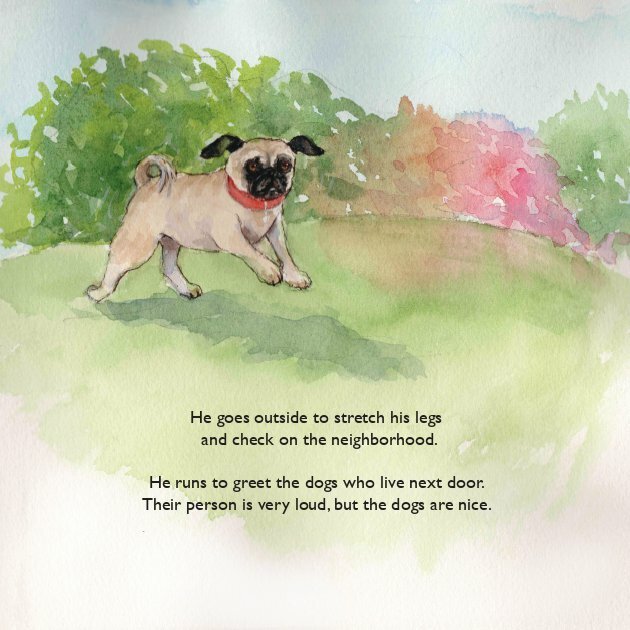 takes the reader on a journey through his day, from morning to bedtime. Along the way, he learns how to behave, get along with others, and his place in the family. "Pistachio!" 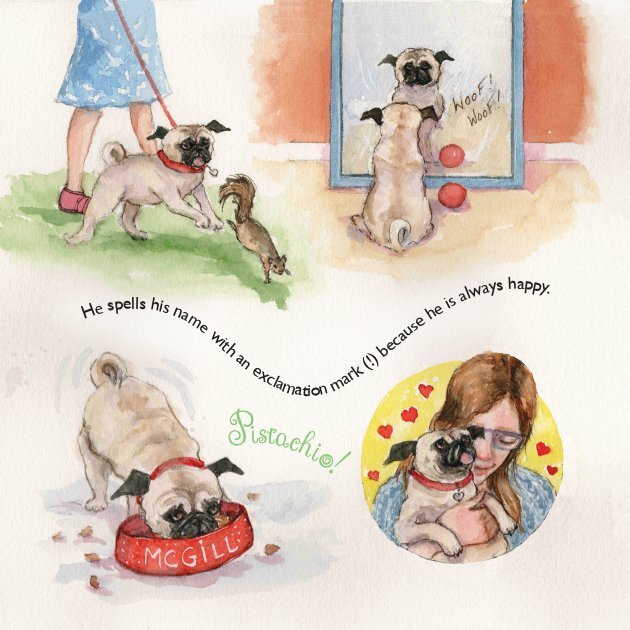 is the story of the simple joys and trials of life, from the perspective of a very special Pug puppy, long ago wished for by his owner. 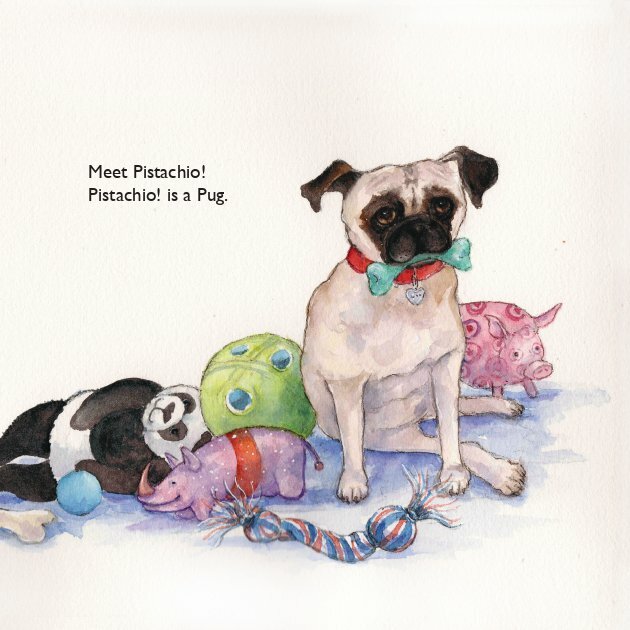 "Pistachio! 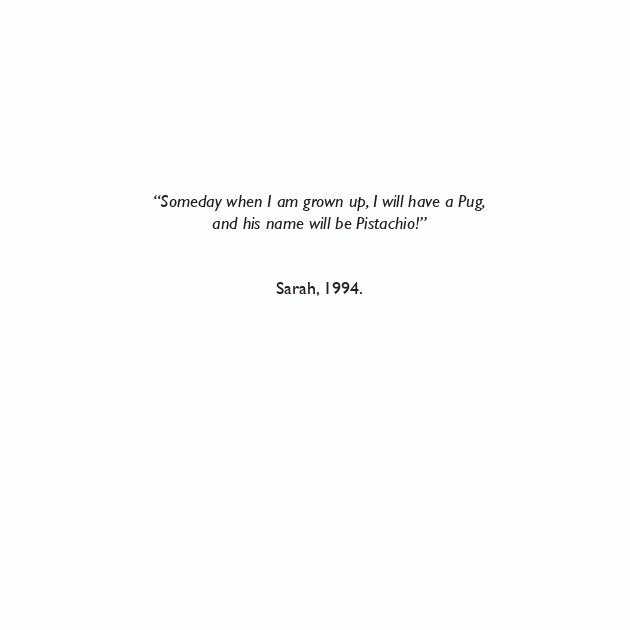 ", based on a real Pug, lived a very real life, full of adventure and love. 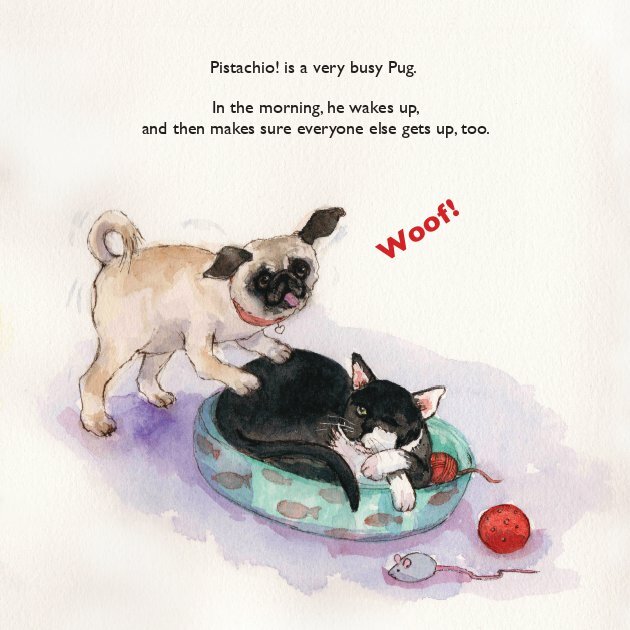 This story, with rich, sweet illustrations, invites the reader into his world … a world of loving humans, dog friends, and a rather indifferent cat named McGill. Sherrill Dunsmuir has always loved using words to build and create something new. She has written song lyrics, poems and very short stories. Sherrill has recently made the transition from mother of two, to grandmother of two, leading her to begin a new chapter of writing books for children. She lives in New Jersey with her husband, Steve, and her African Grey Parrot, Zazu.